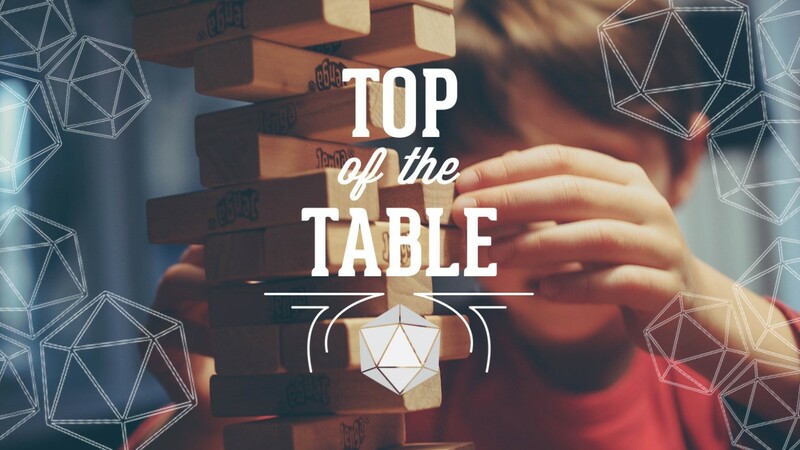 The opportunity to share tabletop gaming with the kids in your life is a not-to-be-missed chance for making memories. In my experience, children relish the chance to play games as a family. Their imagination is set loose on the concepts of the game, they often relish the chance to learn clear rules and gain mastery, and perhaps most importantly, it’s something they can do together with you. 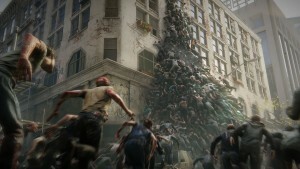 Many of us grew up on classic games like Battleship, Sorry, Jenga, or Connect Four. 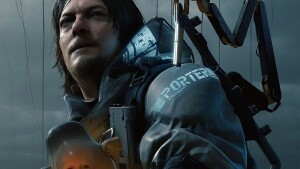 While there’s nothing wrong with any of those familiar older games, recent years have brought us an array of fantastic new ways to enjoy gaming, even with the youngest players. If you’re curious about ways to introduce board gaming into your family’s routine, here are some of my recent favorites, including recommended ages. Every year, new strides are made in the field of cooperative board gaming, leading to some engrossing adventures. Unfortunately, the phenomenon hasn’t often been harnessed for one of the demographics in which it would be most appealing: kids. Publisher Peaceable Kingdom aims to change that with games that primarily focus on shared goals and kindness to one another. 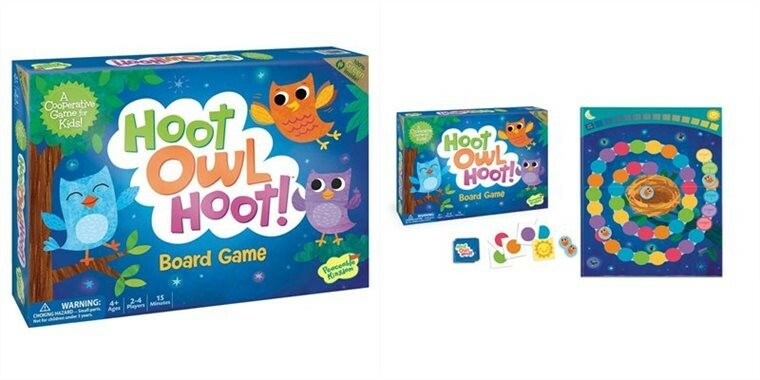 My favorite is the color-matching cooperative game called Hoot Owl Hoot. Players control a parliament of owls as they try to make their way back to the nest before the sun rises. Players take turns moving the owls on the board toward the nest by playing cards of different colors, and then moving one of the owls to the next available spot of that color. If another owl is already on the next space of that color, you can jump ahead to the one past that. Everyone works together to get the owls home safe. But hidden in the deck are sun cards that must be played when drawn, and which advance the arrival of the morning. Everyone wins or loses together. Hoot Owl Hoot is great fun, and its appealing theme about cute owls is a surefire hit. No reading is required, and the concepts are simple to learn, so even very young children can have a blast. The game teaches rudimentary strategy as you consider which card to play, making it a far more compelling choice than many more recognizable “follow-the-track” games you may already know. 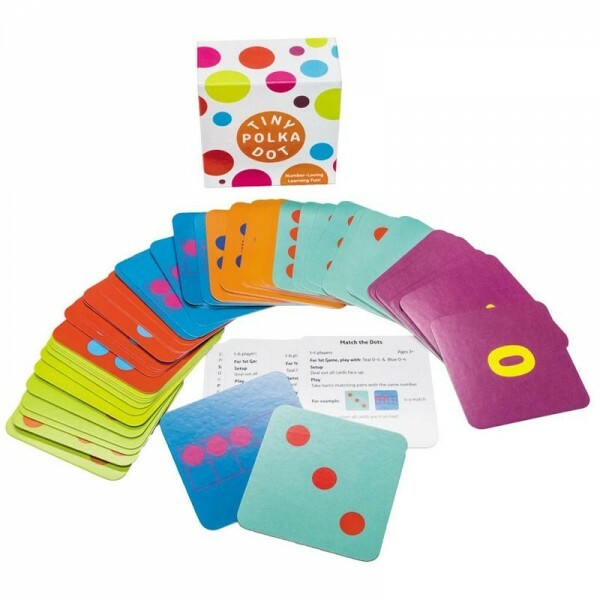 With 16 included games in this affordable card pack, Tiny Polka Dot is a wonderful way to mix the fun of card games with early number and math skills. The cards are large and colorful, and they combine in different ways to create a variety of engaging ways to play. One mode might be about memorizing card locations and matching, while another might demand you gather cards that add up to the number five. I love that the game plays well with even the youngest of children, but some of the included game types scale up to match skills available to slightly older players. I also love that the game includes a brief guide for grownups on how to help kids enjoy and learn as they play. Tiny Polka Dot makes this list for its fun factor, not because of its educational elements. But if the gamification of learning appeals to you, I’d encourage you to check out my earlier write-up on great games that teach. The original adult-targeted Scythe was one of my favorite games of 2016. 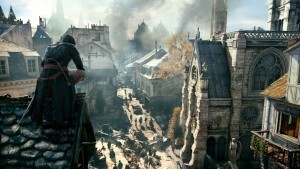 You can read my complete review for more info. That’s why I was overjoyed that this new kid-targeted version turned out to be one of the most rewarding and exciting family games I’ve played. 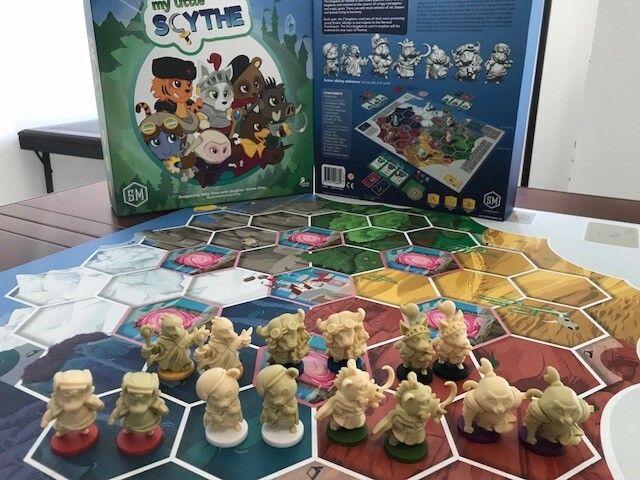 My Little Scythe translates the strategic systems of the original into an accessible and colorful story about competing kingdoms of anthropomorphic animals, setting out across a hex-grid board to complete quests, gather apples and gems, and all the while trying to maintain friendships with the other kingdoms. High production values are showcased with the gorgeous unpainted miniatures, colorful components, and attractive board layout. Young players are encouraged to think ahead and plan, since taking a move one turn means you’ll need to do something else on your next turn. Advancing your own kingdom’s goals must be balanced against maintaining friendship with your competitors, so don’t get into too many pie fights! My Little Scythe’s greatest triumph is its ability to translate the sophistication of the original game into a playable and successful experience on a simpler scale. While My Little Scythe is still one of the more complicated games on this list, it will appeal greatly to kids who are used to watching their parents play all those cool and grown-up strategy board games. In the sweet spot of kids between 8 and 12, I can’t recommend the game highly enough. 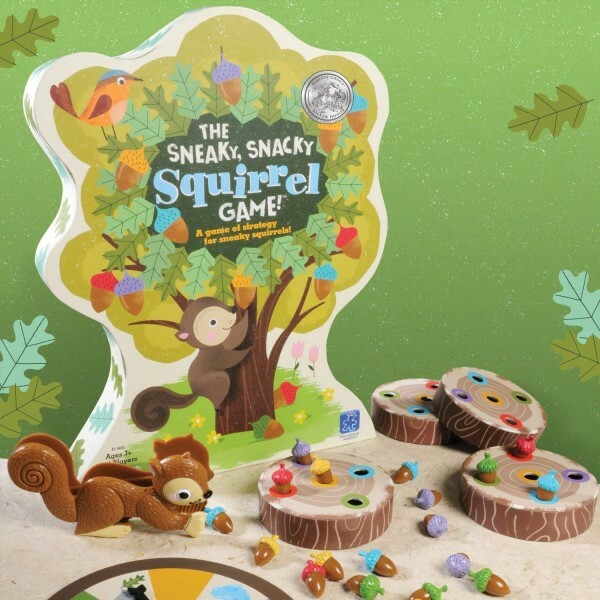 Ideal for pre-schoolers in your family, The Sneaky, Snacky Squirrel Game features great components, simple rules, and a cute theme that rarely misses the mark for those littlest newcomers to the tabletop gaming world. The game focuses on color-matching and fine motor skills, and since the game box doubles as the board, setup is almost as simple as pulling off the lid. Everybody is helping to gather food for their squirrel, picking up multi-colored acorns as directed by their result on a spinner. Sometimes, your squirrel gets sneaky, and is even directed to steal an acorn from one of the other players, demanding that all the players learn good social skills and how to be gracious and friendly even when competing in a game. For most kids, the best part of the game will be the “Squirrel Squeezer,” a simple set of tongs (that looks like a cute squirrel) used to pick up the acorns. This one is a great option for a parent and child to play together, as there are times that the random element of the spinner means mom or dad might regularly lose. One of my most anticipated games of 2018, Stuffed Fables turned out upon release to be even better than I hoped. While any gaming group could enjoy this narrative adventure, it really is one of the best games I’ve run into for families to play together, built from the ground up for parents and kids to be able to enjoy in equal measure, especially if that family includes fans of storytelling. In this self-described “adventure book game,” players control stuffed animal characters on a mission to save their beloved little girl from an evil being intent on inflicting terrible nightmares. Stuffed Fables plays out as an adventure that explores the milestones and challenges of childhood, but wrapped within the context of a great fantasy story. In each chapter, the players make meaningful decisions about how to move the tale forward and save their friend. 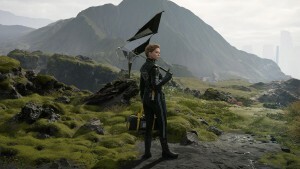 The unique feature of the game is its game board and rules, which are all contained within a colorful spiral-bound book, so every scenario is different from the last, with different pages reflecting different locations and situations that the heroes find themselves encountering. Not only does Stuffed Fables feature a wonderful story, but its mechanics also emphasize cooperation through the sharing of dice for challenging actions, or even the ability to share “stuffing” with other players to help them recover from dire situations. While some minor dark imagery and scary plot points might not be the perfect fit for some kids, the wholesome tone and cooperative vibe help to ease the way. 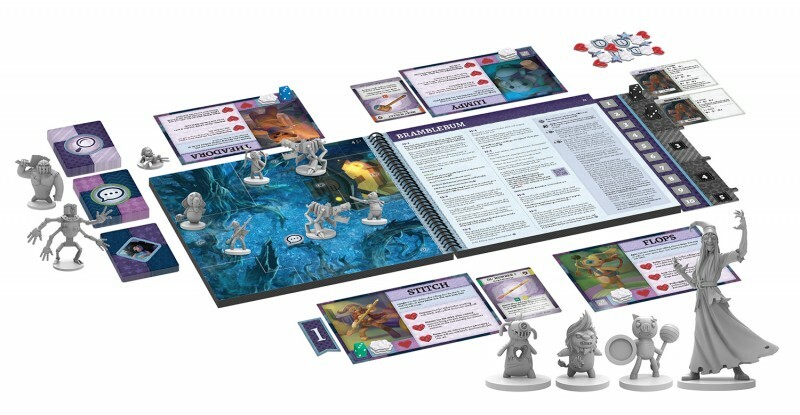 If the kid in your life can’t get enough of fantastical stories and adventures, Stuffed Fables is a phenomenal introduction to the way gaming can bring stories to life. A couple of the kids in my extended family cannot get enough of this dexterity-based flicking game, which is all about a group of penguins slipping and sliding around their school. Gameplay is quick, the physical element of play is ideal for young players who may not yet be interested in strategy games, and the board and components look great. 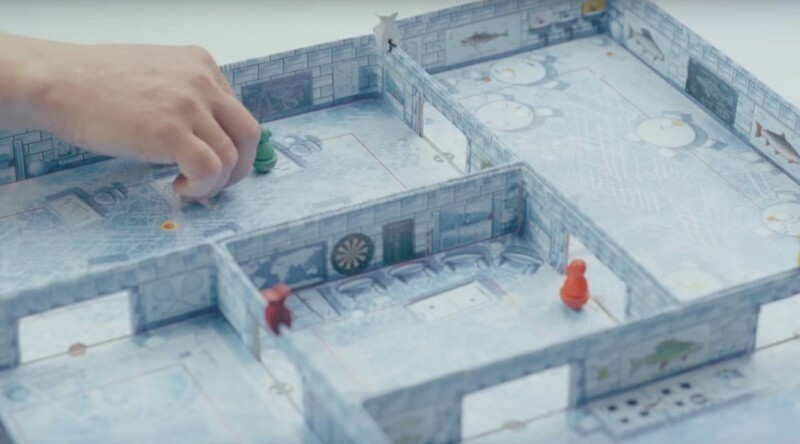 Ice Cool comes in a box with multiple smaller box pieces layered inside, and they all fit together to form a discrete set of rooms that make up the school, each with doorways that interconnect for easy passage for the playing pieces. Your “penguins” are little wobbly round-bottomed figures that, when flicked with your finger, rocket, jump, and curve around corners. In each round, one player chases the other players, trying to touch an opponent’s penguin before they collect all the fish scattered around the board. Not entirely unlike a wild version of putt-putt golf, the excitement here is in lining up a perfect shot, and seeing how it all goes horribly wrong as your penguin careens against walls and flies off track. 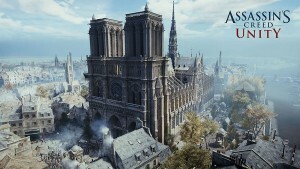 The whole experience is light-hearted and simple, and has the added benefit that a single game can easily fit in under the 30-minute mark. I’ve previously written about the joy of introducing role-playing games to kids, which is an incredibly rewarding and bonding activity to share. That article offers advice on how to successfully navigate those first role-playing sessions, as well as several games that work well for young players. At the time, I hadn’t yet had a chance to explore Amazing Tales, and it’s a great option to add into the mix, so I wanted to mention it here. 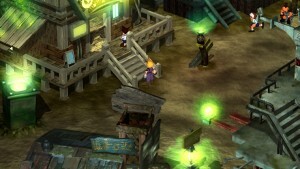 Amazing Tales is built to be played by an adult and one or two children. The kids get to make up any character they want, from futuristic robot to magical fairy, and everything in between. Imaginations can run wild, and every character gets to select four things they’re especially good at, like flying quickly, or talking to animals. These newly minted heroes then set out on adventures into a setting of their choosing, including the deep dark wood, magical kingdoms long ago, pirate seas, and adventures beyond the stars. 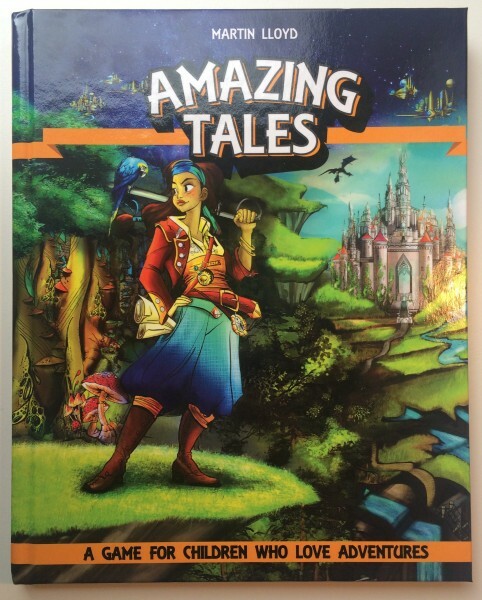 Amazing Tales is presented as a book that can and should be read by the adult, but little to no reading is required by the child, as the rules for play are incredibly simple, and conflict resolution uses simple dice rolls. The book offers invaluable advice for how to make the game fun for your child, and ensure that everyone walks away feeling like they were part of a thrilling (and brief) adventure. 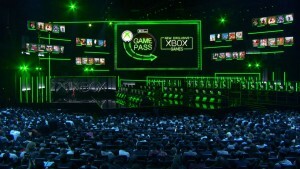 A whole game can be played through in about 30 minutes, including character creation. I’m a particular fan of stacking and building games, many of which can be adapted with little trouble to work well with younger players. 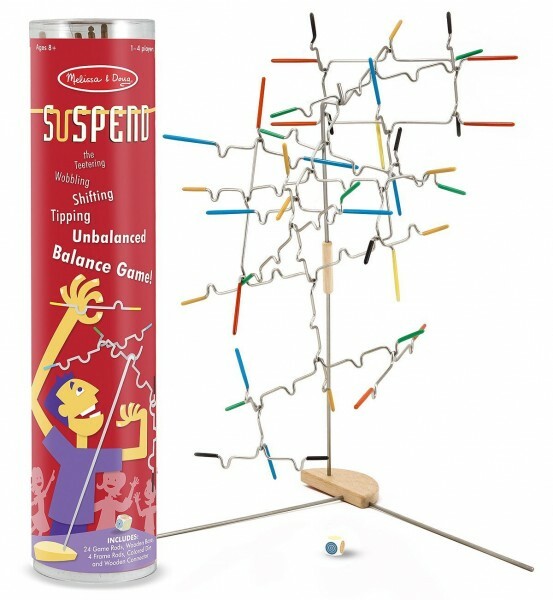 No such adaptation is necessary with Suspend, a stellar physics and balancing game for all ages. 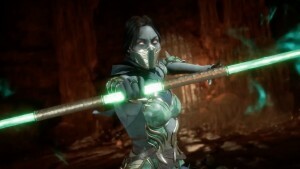 Players have a number of metallic rods with different indentations and lengths, and they must hang one of their pieces onto an ever-growing structure of delicately stacked other rods. Can you add a piece without having the whole thing tumble? I’ve broken Suspend out even at grown-up game nights, and everyone has had a blast. For kids, the joy is in the precarious nature of the balanced structure, and the tension of seeing whether their newly added piece will stay on. Interestingly, by the end of the game, the structure often looks like a beautiful piece of modern art, which is a nice bonus. The publisher’s recommended age is eight and older, but I think it bears mentioning that I’ve played it with kids as young as five who had a great time, so long as they had some monitoring, since there is a physical component to the metallic game pieces. Tons of amazing kids games are out there, but I wanted to highlight the games above because many parents have the tendency to simply fall back on old standbys they played when they were young. 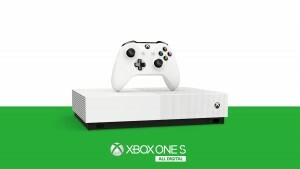 That’s fine for nostalgia reasons, but I suspect that with some experimentation, you may find that some of the more recent games for young players are a ton of fun, and that means you’ll have a better time sharing them as a family. Despite this lengthy list of suggestions, I’m eager to hear what family games you like to break out with the kids in your life. Share your picks in the comments below. And if you’d like some more personalized board game recommendations (for kids games or otherwise) feel free to drop me an email and let me know what you’re looking for, and I’ll see what I can help you find.